Home » How to fix Sage Error 1327 while installing ? 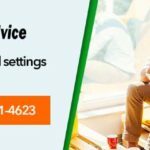 How to fix Sage Error 1327 while installing ? Installing Sage is as easy as pie. It can be done within a blink of the eye with the help of the installation wizard provided by Sage. 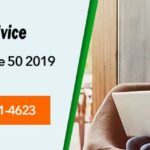 You must be logged in as an Administrator to be able to install Sage 50 as many times user access has been blocked for installing new software. This error, if still persist after giving proper access to a user to install this accounting software, then you must do one of the two things. Either you can assign the path of the missing drive to an external usb drive or hard disk or you can create a virtual drive. Create a drive with the same Drive name. Goto Administrative Tools from ‘Control Panel’. On the navigation panel click on Disk Management under Storage. Here you can right click on any drive and click shrink volume to reduce its size. The reduced size will appear as unallocated space. Use this Unallocated space to make a new drive with the name of the missing drive path. This is one of the easiest methods to create a virtual drive. For this you must download daemon tools lite form here. After installing this software, you need to add an additional virtual drive and you are all set to install Sage. While installing make sure to install SPDT as well as it might not work otherwise. Goto disk management in Control Panel. Select USB device or the external hard disk. Select the letter that you want to assign to the drive. Click on Ok and you will be all set for installing the software. Choose among the methods provided above. All of these methods work to make this error go away. There are other software’s available that can help you in making virtual drives so you might want to give them a try as well. 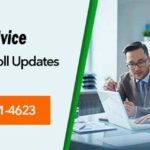 Sage error 1327 is a common error that is categorized as installation error and occurs if the installation steps recommended by Sage are not properly followed. When you are unable to resolve the installation error 1327 then report it to www.accountingadvice.co. 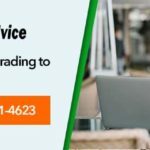 It is a well known Sage support company that has experienced Sage team who assist you to resolve the error very smoothly. Connect by calling the sage support contact number 1800-961-4623 and garner excellent services of error resolution.